Amazing local & video teaching solutions! 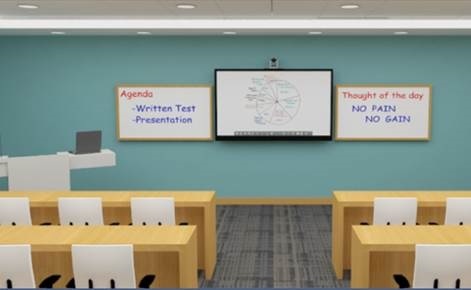 Transform your existing classrooms to Highly Collaborative video teaching and learning spaces! 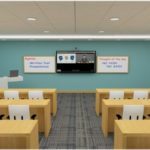 It is ultra easy to dramatically transform your classrooms, training rooms, lecture halls for great local, audio and video collaborative teaching and learning! 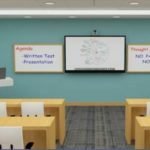 AltraEZTeach is a very easy to use excellent teaching and learning solution which empowers trainer to teach in a very effective manner and the students takes maximum to their home. 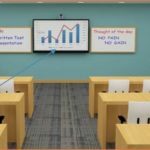 The solution empowers with extremely high quality interactive display which removes the problem of projector switching ON/OFF & lamp changing issues. The solution has highly aesthetic trainer lectern with inbuilt rack for equipment placement and locking the things inside. AltraEZTeach comes in four versions i.e. AX, EX, FX and FX Plus. PC-less presentation in local meeting with presentation annotation. Save notes, print, email. 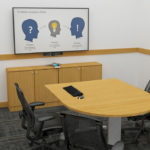 Choose to make an interactive presentation by connecting your PC from credenza/table. Optionally, make interactive presentation wired from the table and wirelessly from the table in local meeting. 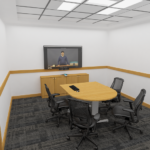 For the first time, amazing 14kHz HD audio quality in all Teleconferences from all rooms! 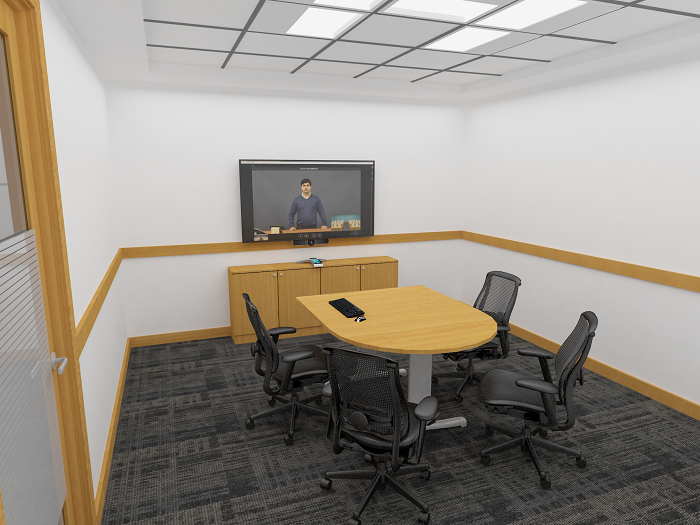 Do an amazing quality 14kHz HD audio conferencing with a 20’ radius pick-up for huddle room or conference room or training room. Optionally 2 wireless mics that have a further pick up of 8’ each. Same device also takes-care of audio and video teleconference. Record the audio conference up to 100 hours internally or more in a pen-drive. Now, for the first time, whiteboard explanation and presentation annotation in all your video calls at an amazing value! 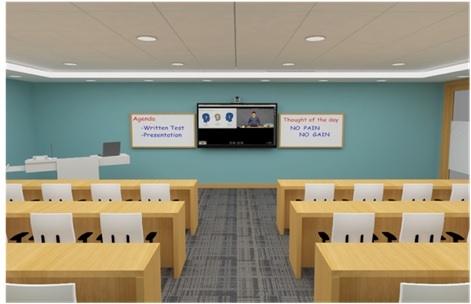 Even annotate on the presentation you are showing in the video conference, from the smart interactive display. Also, save, print & email. 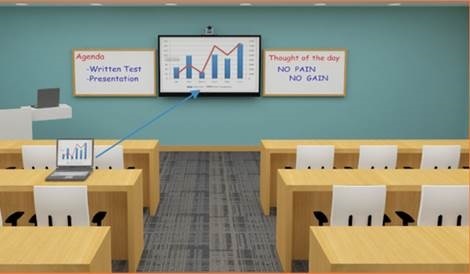 For the first time, integrate your conference room, your desktop employees, your customer, partners and suppliers over business quality video with whiteboard explanation & presentation annotation! For getting everyone same page at an amazing value! Ready to talk to all employees at their desk with Skype-for-Business or within app from their desk or smartphone. Ready to talk in business quality video to all your global customers, partners & suppliers when all they have is just a PC with a browser. Ready to train over video in high quality another class along with 48 students, Who are outside the class anywhere in the world. Ready to learn over video in high quality from a teacher anywhere in the world when the teacher has just a PC or is using a similar solution. BOSPL AltraContentVC 15.6T 1 No. 1 No. 1 No. 1 No. BOSPL AltraLectern 50 1 No. 1 No. 1 No. 1 No.